LEXUS IS220 2.2 1AD 2006-2009 BARE RECON ENGINE. THE JOB INCLUDES. NEW HEAD GASKET SET & SEALS. (SPECIALISED IN REBUILDING ENGINES WE WILL REBUILT YOUR EXISTING UNIT SO YOU DONT HAVE TO INFORM DVLA OR VOSA ABOUT YOUR ENGINE CHANGE). THIS IS A COMPLETE VEHICLE BEING DISMANTLED FOR ALL PARTS. All parts are security marked; these markings include permanent marker pen and infra- blue marking. LEXUS LS-460 4.6L V8 - 32v DOHC - RWD - 1UR-FSE ENGINE KIT. Kit Includes: Complete Engine, with full ancillaries, Wiring Loom & ECU. It is very expensive to own a car in Japan. Japanese vehicles have less miles in comparison to the UK. LEXUS IS220 DIESEL 2005 - 2013 ( XE20 ). OTHER IS220 / IS250 PARTS 2.2 DIESEL ENGINE BLOCK WITH INTERNALS. Toyota Lexus Corolla Prius Auris Ct200h C-HR. Engine code:1.8 Hybrid 2ZR-FXE 2ZR. Year: 2017. Engine in very good condition, original, just look pictures,about 4.000 miles. 2002 LEXUS SC430 130K. ENGINE MOTOR BLOCK COMPLETE V8 4.3L VVT-I. GOOD WORKING ORDER TESTED! THIS ITEM FITS: LEXUSSC430 2002, 2003, 2004, 2005. Ask us for a quote if you're outside the US or live in HI or PR. 2006 LEXUS IS350 V69 BLUE EXTERIOR TAN INTERIOR. ENGINE COMPLETE 3.5 2GR. IS350 2006 2007 2008 2009 2010 2011 2012 IS350 2006 2007 2008 2009 2010 2011 2012 2013. THIS ITEM FITS: LEXUS IS3502006 2007 2008 2009 2010 201 1 2012 2013. 2011 LEXUS LS460 RWD 93K GRAY EXTERIOR BLACK INTERIOR. Type 2011 LEXUS LS460 RWD 93K. LS460 2007 2008 2009 2010 2011 2012 LS460 2007 2008 2009 2010 2011 2012. THIS ITEM FITS: LEXUS LSRWD LS460 2007 2008 2009 2010 2011 2012. 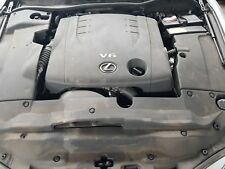 Motor Moteur Engine Lexus Is II (XE2) Is 220d 130 Kw Hobbyists Goods. Motor Moteur engine LEXUS IS II (XE2) IS 220 d 130 kW HOBBYIST products. Being sold due to high mileage as a defect. The sale is carried out only to hobbyists as HOBBYISTS. LEXUS NX 300h AWD 2015 RHD COMPLETE HYBRID PETROL 2.5 ENGINE MOTOR 2AR-FXE 114kw. Donor vehicle- 2015 RHD Lexus NX 300h AWD 114kw. Engine - 2.5 hybrid petrol 114kw. Year - 2015. Mileage - 31 741 KM. RHDrefers to part from right hand drive vehicle (found in UK, Australia and others). Part number: 2GR. Donor vehicle- LEXUS RX 450h 2013 RHD. Engine - 3.5 Hybrid. Year - 2013. RHDrefers to part from right hand drive vehicle (found in UK, Australia and others). Our consultants can also be reached on Skype. 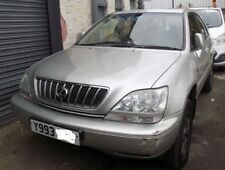 LEXUS RX300 3.0 PETROL AUTO GEARBOX 2005reg. Part number: 2AD. Donor vehicle- LEXUS IS 220d 2008 RHD. Engine - 2.2 Diesel. Year - 2008. RHDrefers to part from right hand drive vehicle (found in UK, Australia and others). USEFUL LINKS. We also have more parts from this vehicle. Model - RX (_U3_). Year - 2006. Original numbers - 2GR-FE, 19000-31D30. This is a quality tested, used spare part! Parts are fully functional but you should expect normal wear corresponding to the year and milage of the car the part has been removed from. 220d (130kw) Engine. LEXUS IS II 2007. Model: IS II. Title: Engine. Mileage was 65k miles, Engine was working great with no problem. Removed from LEXUS IS 220D 07" plate. 2002 LEXUS SC430. REAR MUFFLER EXHAUST REAR SECTION. THIS ITEM FITS: LEXUSSC430 2002, 2003, 2004, 2005, 2006, 2007, 2008, 2009. 2002 2003 2004 2005 2006 2007 2008 2009. VIN NUMBER. Part number: 3GR. Engine - 3.0 Petrol. Donor vehicle- LEXUS GS 300 2006 RHD. Year - 2006. RHDrefers to part from right hand drive vehicle (found in UK, Australia and others). Our consultants can also be reached on Skype. 2007 LEXUS SC430 123K BLACK EXTERIOR LIGHT BROWN INTERIOR. SC430 2002 2003 2004 2005 2006 2007 2008 SC430 2002 2003 2004 2005 2006 2007 2008 2009 2010. ENGINE MOTOR BLOCK COMPLETE V8 4.3L 3UZ-Z83. GOOD WORKING ORDER! ENGINE BARE ONLY. Removed from a 2009 LEXUS RX HYBRID EXECUTIVE 4DR AUTO 3456. FOR YEARS: 2008, 2009, 2010, 2011, 2012 (2009). ENGINE CODE 2GR-FXE. Faulty/incorrect parts will be replaced. We do not cover labour Costs. 2015 LEXUS IS250 RWD F-SPORT 45K BLACK EXTERIOR BLACK INTERIOR. ENGINE MOTOR ASSEMBLY COMPLETE V6 4GR. Type 2015 LEXUS IS250 RWD F-SPORT 45K. LEXUS IS IS250 2014 2015 LEXUS IS IS250 2014 2015. THIS ITEM FITS: LEXUSIS IS250 2014 2015. All our parts are genuine! Notes: Price is negotiable. Otherwise your order will be cancelled. Part Number: 3MZ-FE. 2009 LEXUS LS460L RWD AIR SUSPENSION101K. THIS ITEM FITS: LEXUSLS460L LS460 20 07 2008 2009 2010 2011 2012. RWD 4.6L ENGINE MOTOR BLOCK 1UR-FSE ASSEMBLY. GOOD WORKING ORDER! Manufacturer Part Number 4.6L. ENGINE MOTOR BLOCK V8 4.3 97K. 2004 LEXUS SC430 97K. GOOD WORKING ORDER! WITH NORMAL SCRATCHESSEE PICTURES FOR MORE DETAILS. VIN NUMBER. freight and all. Ask us for a quote if you're outside the US or live in HI or PR. LEXUS IS I IS300 GS 300 II 97-04r 3.0 24V VVT-i 161kW 219KM CODE ENGINE 2JZ-GE V2JZ-C87 2JZ ENGINE YEAR 2002R MILEAGE IN KM 233 TKM. 2012 LEXUS IS250 RWD 102K RED EXTERIOR BLACK INTERIOR. Type 2012 LEXUS IS250 RWD 102K. RWD ENGINE MOTOR BLOCK ASSEMBLY V6 2.5L 4GR COMPLETE. IS IS250 2006 2007 2008 2009 2010 2011 2 IS IS250 2006 2007 2008 2009 2010 2011 2012 2013. 2017 TOYOTA RAV4 HYBRID AUTO. THE ENGINE YOU WILL BE PURCHASING WILL BE AN ENGINE ONLY WITH NO OTHER ANCILLARIES UNLESS OTHER WISE STATED. TO CLARIFY THIS NO ALTERNATOR, STARTER MOTOR, TURBO'S, MANIFOLDS, ECU, WIRING LOOMS, BOLT ON BITS ETC. Here for sale is a 2006 Lexus IS250 engine. The engine was in good working order before it was removed from the vehicle. The engine had done 87,000 miles. 2008 LEXUS LS460 RWD 147K. RWD 4.6L ENGINE MOTOR BLOCK 1UR-FSE ASSEMBLY. GOOD WORKING ORDER! THIS ITEM FITS: LEXUSLS460 20 07 2008 2009 2010 2011 2012. VIN# JTHBL46F185073670. freight and all. Ask us for a quote if you're outside the US or live in HI or PR. THIS ITEM FITS: LEXUS IS-F 2008 2009 2010 2011 2012 2013 2014. GOOD WORKING ORDER TESTED! Manufacturer Part Number 0001. 2008 2009 2010 2011 2012 2013 2014 IS-F IS F F-SPORT. VIN# JTHBP262695006487. 2009 LEXUS LS 600H 5.0 HYBRID SALOON LHD AUTOMATIC COMPLETE ENGINE MOTOR 2UR. Part number: 2UR. Donor vehicle- 2009 LEXUS LS 600H 5.0 HYBRID SALOON LHD. RHDrefers to part from right hand drive vehicle (found in UK, Australia and others). Part number: 2GR. Donor vehicle- LEXUS RX450h 2017 RHD. Year - 2017. Engine - 3.5 Petrol Hybrid. RHDrefers to part from right hand drive vehicle (found in UK, Australia and others). Our consultants can also be reached on Skype. All our parts are genuine! Notes: Price is negotiable. Otherwise your order will be cancelled. Part Number: 2JZ-GE. The engine code for this is 4GR. This is a 2.5 V6 Petrol Engine from a 2008 Lexus IS 250. Our ELV Permit Number is CP3995HL.